Are you heading off to college soon? Do you want to bring your own mattress or buy a mattress topper for an existing dorm mattress? If so, this article is just what you need. Our favorite option for the best dorm mattress is the Casper Twin XL bed. This bed provides pressure relief and keeps you cool while you sleep. Our top pick for a dorm mattress topper is the Avocado Green Latex Mattress Topper, which uses natural materials and comes in two firmness options. Although colleges do supply dorm mattresses, they usually aren’t very comfortable. Not only that but you have no idea where that bed has been, which isn’t exactly a settling thought. Although dorm rooms are typically cleaned after they’ve last been used, it’s unlikely that your school replaces every mattress on campus between dorm residents. Your safest bet is just to bring an entirely new one or to use a mattress topper, so you can be as hygienic and comfortable as possible in your new room. While colleges used to use Twin mattresses as a standard in dorm rooms, many campuses have switched to Twin XL beds, which are a bit longer for taller students. In this article, we’ll cover three mattress options for Twin XL mattresses and two mattress toppers of the same size. Whether you choose a mattress or just a mattress topper will depend on the rules at your school. Make sure to ask them what will work best for your dorm. The Casper Mattress is a bed that uses both latex and memory foam in its construction. We chose it as the best option for pressure relief because it creates a bit of sinkage when you lie on it, which has been reported by users to help with aches and pains. You want the option of a mattress protector: If you want a bit of extra peace of mind for your mattress, you’ll be glad to know that Casper offers a waterproof mattress protector. This eliminates the hassle of trying to buy one from a separate brand and wondering if it will fit correctly. You want a mattress that’s been improved based on feedback: Since the launch of the Casper Mattress, the company has been continuously improving the mattress based on customer feedback. They’ve added more breathability, durability, and a removable cover based on this information. You’re a hot sleeper: A lot of people have problems with overheating when they’re asleep, which makes restful sleep very difficult. If this applies to you, the Casper Mattress may help as it has a cooling system that pulls heat from the foam. You like a bit of bounce in your bed: The Casper Mattress uses a latex-like material in its construction, which is responsive and gives the mattress a bit of bounce. This foam also helps prevent the sleeper from getting too hot, as it has cooling properties. The cover on this bed is soft and removable, followed by a comfort layer of the previously mentioned foam. Although this layer does respond quickly, it also provides some sinkage to relieve pressure in your body. Next is the contour layer, made of memory foam, which provides more pressure relief, then a zoned transition layer with a firmer section in the middle to help with spinal alignment. Last is the heavy-duty foam base that gives the mattress its support and shape. When you press into the Casper Mattress, you’ll notice a gentle bounce, followed by contouring, although it’s subtle enough to prevent you from feeling trapped. The bed is average at motion isolation since it uses a bouncy material, although it will likely minimize disturbances far better than an innerspring bed would. The materials in this bed have been CertiPUR-US® certified and found to be free from harmful levels of heavy metals and other toxins. If you buy the Casper Mattress, you’ll get a 10-year warranty and a 100-night sleep trial. Overall, this is the right size for a dorm bed, offers pressure relief, and helps keep the sleeper cool. If you want a slight bounce in your mattress, but also some contouring comfort, the Casper Mattress could be a good bet. The Tuft & Needle is a basic mattress with two layers of foam. We chose it as the best simple option because it doesn’t use many materials or layers, instead favoring a more basic construction. People with back pain may require more layers and complexity in their bed, but average sleepers should do great with this design. You want a bouncy feel to your bed: Although the Tuft & Needle Mattress is an all-foam bed, the material has more of a latex feel than a memory foam consistency. This creates a bouncy surface that’s easy to switch positions on without feeling stuck. You don’t want to sink into your mattress: While memory foam creates a cradling hug, also described as a sinking sensation, the Tuft & Needle Mattress doesn’t. Instead, you’ll feel like you’re sleeping on top of your bed. Environmental friendliness is important to you: While most modern mattress companies these days have at least one environmental certification for their products, the Tuft & Needle bed has three. If the environment is important to you, this should provide you with some peace of mind. You’re a hot sleeper: If you often wake up sweaty in the night, it’s important to choose a mattress with cooling features. Thankfully, the Tuft & Needle bed uses both gel and graphite to pull heat away from your body, as you sleep. These materials work together to keep you resting comfortably. The cover on the Tuft & Needle Mattress is made from a blend of polyester and Tactel (a moisture-wicking cotton substitute) with a thin, breathable design. Next is a foam layer, known as T&N Adaptive® foam, followed by a dense foam base layer. 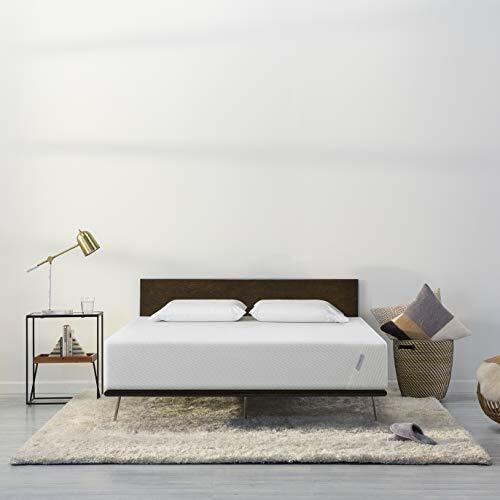 The Tuft & Needle Mattress has a quick-responding surface and, when you press into it, you’ll quickly notice the firm support of the foundation. This combination of materials keeps you from sinking in too far, which also helps keep you cool and comfortable. Since there aren’t any coils used in the construction of this mattress, it does a good job with absorbing motion. Since you’ll be using it in a dorm room, you’ll likely be sleeping alone, but the motion-absorbing properties will help minimize noise and stop you from waking yourself or your roommates up. The foams in the Tuft & Needle Mattress have been Greenguard Gold, Standard 100 BY OEKO-TEX®, and CertiPUR-US® certified. Each of these certifications tested the foams for harmful levels of toxic chemicals and found them to be safe for the sleeper and the environment. This bed comes with a 10-year warranty and a 100-night sleep trial. The Tuft & Needle Mattress is also suitable for sleepers of any weight or size. Overall, it’s a suitable bed for side, stomach, and back sleepers. If you want a straightforward foam bed with cooling technology for your dorm, it could just be your best bet. The Sunrising Bedding 8-inch Hybrid Mattress uses latex to relieve pressure and cradle the body. This material works with the coil layer to support the back and prevent the mattress from sagging. You get restless at night: If you tend to toss and turn or just take a while to find a comfortable position before going to sleep, you may like this mattress. The latex has an elastic feel that enables you to move without feeling stuck and also quickly adjusts to your body after you move. You want your mattress to have antiseptic properties: The Sunrising Bedding Hybrid is good for both the environment and the sleeper. It has antiseptic properties that prevent allergens, dust mites, or germs from getting too comfortable in your bed. You’re sensitive to temperature: People who are sensitive in this way have a hard time cooling off in the summer and a hard time warming up in the winter. If you’re one of these people, you’ll be glad to know that the cashmere fabric used in the Sunrising mattress helps to pull heat away from your body when you’re warm and helps you heat up when you’re cold. You want a mattress that’s on the firmer side: his bed has a comfortable, yet firm, feel to it. The latex material is responsive, while the coil layer also contributes to the overall firm bounciness of the Sunrising Hybrid Mattress. If you know you prefer a firmer bed, or if you are a heavier customer, you’ll likely appreciate how it feels. The cashmere cover on this mattress is followed by a layer of Talalay latex, then a coil layer made with steel wire springs. The latex cushion layer provides comfort for your body and the bed has a bit of contouring and bounce. The bed is a 7/10 in terms of firmness. There isn’t a lot of sinkage with this mattress, so if you prefer that feeling, you may be better off choosing a bed with memory foam. The Sunrising Hybrid Mattress uses wrapped coils that won’t make noise when you move around but also won’t isolate motion as well as an all-foam mattress. The Talalay latex used in this bed is natural and Sunrising is listed as a CertiPUR-US® certified company, which means they test their materials for toxic off-gassing and dangerous chemicals. This mattress comes with a 20-year warranty and a free but short, 20-day sleep trial, allowing you to pay only once you’ve decided you like the bed. Overall, the Sunrising Bedding Latex Hybrid is a good choice for people who know they coils and a firm feel to their mattress. Whether you sleep on your back, stomach, or side, this bed should give you the support you need for a good night’s sleep in your college dorm. While getting a new mattress for your dorm is the ideal, it won’t always work. In some cases, you might not be able to bring an entire mattress to your room or you simply may wish to save some money and go for a simpler, lighter option. In either case, a mattress topper can be a suitable alternative to buying a whole new mattress. Using a topper can breathe some new life into a shabby old mattress, providing you with the comfortable sleep you need to succeed at school. Even if the bed in your dorm room is old and worn out, using a mattress topper can make it feel like new again. Below are two of the best options for mattress toppers on the market right now. The Avocado Green Latex Topper uses impressive materials that meet strict environmental standards. Organic cotton, natural Dunlop latex, and natural wool are all included in this mattress topper. Although they aren’t as cheap as other materials, the topper could be worth the money if sustainability is important to you. You suffer from allergies: If you’re one of the unfortunate people who suffer from allergies, you’ll appreciate this product. The Avocado Green Latex Topper uses natural, hypoallergenic materials that are less likely to cause irritation. You want your topper to help you sleep cool: The Avocado Green Latex Topper is made with all natural wool, which has moisture-wicking properties and helps to promote airflow. As a bonus, this material also acts as a natural fire barrier as an alternative to using harsh chemical retardants. 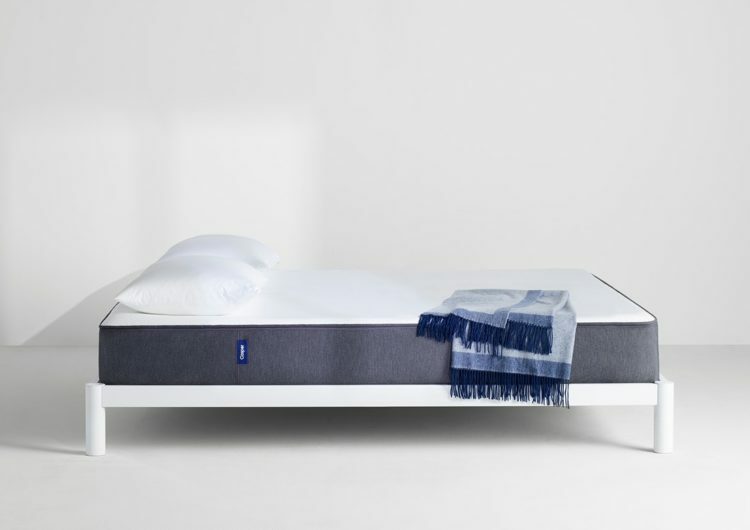 You like to have options: The materials used in this mattress topper provide pressure relief for the body, helping you get deep, restful sleep and wake up refreshed and ready to learn. You can choose between two different firmness levels (Plush or Firm), making the Avocado Green Topper customizable. You want to help offset carbon emissions: Avocado has committed to offsetting any carbon emissions from their Los Angeles factory and all their shipping. They are doing this by working with an organization to remove an equal amount of CO2 (carbon dioxide) from the atmosphere through reforestation and forest preservation initiatives. The Avocado Green Latex Mattress Topper mimics the comfortable, cushion-like sensation of a mattress, using New Zealand Wool quilted under the organic cotton cover, followed by a core of Dunlop latex. The wool helps warm you up when it’s cold and cools you down in warmer weather. The topper has a supportive, slightly bouncy feel and the firmness level will depend on whether you select the Plush or Firm version. Regardless of which you choose, the cotton and wool used in the Avocado Green Topper construction will keep you sleeping comfortably. There’s also a vegan option, which doesn’t contain wool. Avocado observes very strict emissions standards. Their topper uses eco-INSTITUT certified latex and GOTS certified organic cotton, both of which prove environmental sustainability and safety for sleepers. 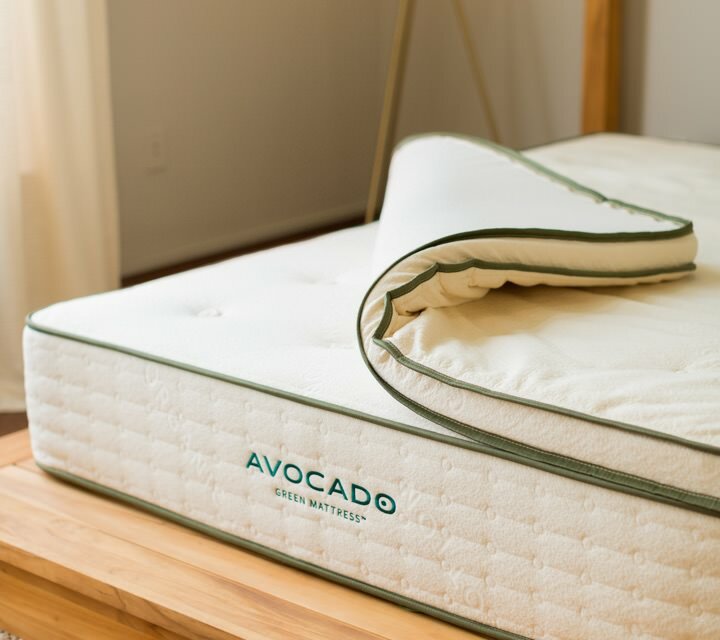 The Avocado Green Mattress Topper comes with a 100-night sleep trial and, if you don’t like their product, Avocado will pick it up and refund your purchase. The topper also comes with a 10-year warranty. Overall, if you like handmade, natural products and want two firmness options to choose from for your mattress topper, the Avocado Green Latex Topper may be a good choice for you. 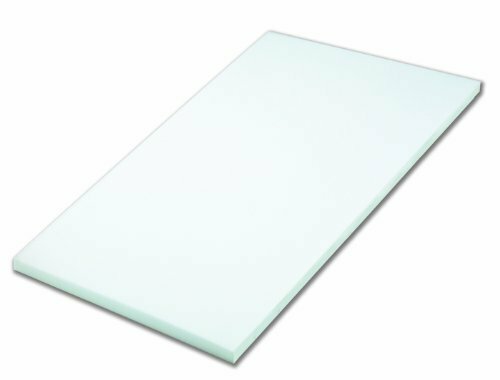 The Sleep Innovations 2-inch Memory Foam Mattress Topper is a light, simple product with medium density. 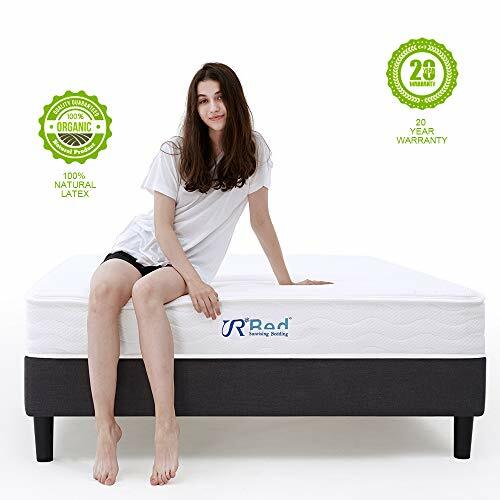 We chose it as the best budget pick for a mattress topper because it has an affordable price yet will add comfort and support to your existing dorm mattress. You want memory foam without feeling stuck: If you know you like memory foam, you will probably enjoy how this mattress topper feels. The Sleep Innovations 2-inch Topper gives your body a gentle cradled feeling that helps relieve pressure in your body. Since it’s fairly thin, you won’t feel stuck when you try to move around. You’ll be going to college in a cold climate: Since this topper is made with memory foam, it will sleep a bit warmer than other materials. If you’ll be going to school somewhere cold, this will help you stay warm. If you decide to purchase it anyway and want to minimize heat retention, you may want to put this foam topper over your mattress, but under an elastic mattress pad. You want a hassle-free delivery: The Sleep Innovations 2-inch Memory Foam Topper comes in a compact box, tightly compressed in a wrapper. This makes it easier to transport and bring to your college dorm than some other toppers, which are thicker or heavier and packaged less efficiently. You need pressure relief: Whether you play sports, have back pain, or just want a mattress topper to help you with pressure relief for other reasons, memory foam could be a good choice. This material allows you to sink in and takes pressure off your joints, which users report helps to minimize pain and tension in the body. The Sleep Innovations Memory Foam Mattress Topper just uses one simple 2-inch layer of memory foam. As is typical of this material, it provides sinkage and absorbs motion well. Although it doesn’t come with a sleep trial, you will get a 1-year warranty with your purchase. The mattress topper is made with CertiPUR-US® certified foam, which means it was tested for harmful levels of heavy metals and other toxins and found to be safe. Sleep is important no matter what stage of life you’re in, but it’s extra important for college students. Better rest can contribute to a healthy mentality, better moods, and ultimately better grades and academic performance. Mattress Depth: Some dorm beds will already come with a mattress that you can place a topper on, or you may want to replace it altogether and put your new mattress on top of the existing box spring. Either way, it’s a good idea to figure out the maximum height your dorm bed can handle for your mattress or topper. Bed Size: Again, most college dorms these days have Twin XL beds in them, but some may still have ordinary twins or even larger beds. The best way to know for sure is to either visit the school and measure yourself or call and ask the faculty about the beds that come in the dorm rooms. Bedding: After you’re done shopping for your mattress or mattress topper, your work isn’t done yet. You’ll also need to look into bedding including sheets, a comforter, and pillows with pillowcases. Depending on the climate in the area you’ll be going to college, you’ll want to choose materials accordingly. Flannel is good for cold weather, whereas cotton will fit better with temperate or warm climates. 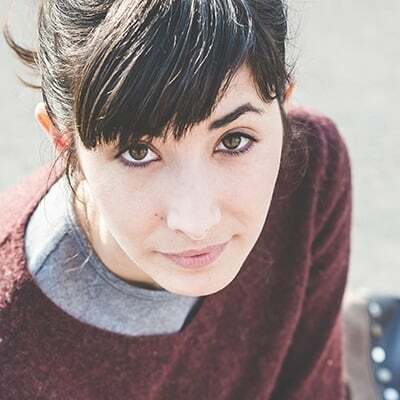 Noise: If you’re sharing your dorm with a roommate or you’re a light sleeper, the amount of noise your mattress will make is worth thinking about. A coil mattress tends to make more noise than a latex or foam option, whereas an all-foam bed likely won’t make any noise at all. Don’t forget how important it is to make sure you have quality items for your bed, so you can get restful sleep and do well when you start school. As soon as you’ve covered all of the bases listed above, you should be ready to sleep in your new college dorm! The Casper Mattress is a bed that uses both a latex-like material and memory foam in its construction. We chose it as the best dorm bed option because it creates a supportive sinkage when you lie on it, which has been reported to help with aches and pains and suit most types of sleepers. Best Futon Mattress: Review & Comparison 2019 – Which Is The Most Comfortable Futon Bed To Sleep On?